Winch Solutions started up in 2004, and we’ve been on an epic ride ever since. From our beginnings as a one-man company through to becoming a global organisation, we’ve tried to stay true to our core beliefs of honesty, hard work and commitment and our goal is to deliver an exceptional experience for all our customers both large and small. We owe a huge thanks to you, our distributors, in many different countries for joining us on this incredible journey, and we hope that you’ll continue to be a part of our developing story. We pride ourselves on our “family” environment which incorporates everyone associated with Winch Solutions Ltd. Our family ethic creates a togetherness which in turn develops a bond based on trust shared by employees, suppliers and customers alike. 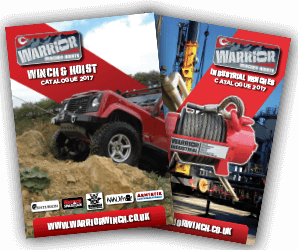 As a customer you will find your experience with Winch Solutions to be effortless. From first contact our dedicated and talented staff will seek to provide you with the information and products that you require to make your business better. We are straight talking, efficient; supportive and relentless in our desire to make you our number one priority. We are committed to continuously strengthening our brands and products to improve our competitive position. We are customer-focused, both distributor and end user and therefore we continuously improve the quality, look, feel and image of our products and our organisational structures to match and exceed customer expectations and to provide them with the highest value. We are an innovative and design aware company who seek to improve the quality, design and aesthetic look with every product we bring to market. We are dedicated to consistently delivering outstanding products and consistently effective customer service.